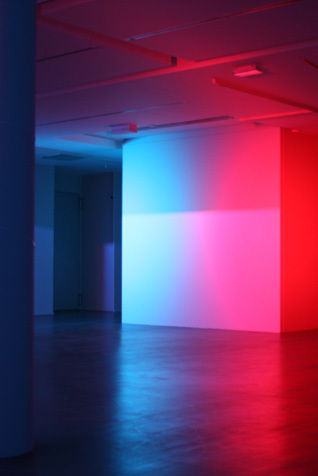 Nathalie Junod Ponsard’s installations invite the public to venture into spaces brimming with light across the chromatic scale. By controlling the wavelengths of the beams, the artist plays with the audience’s senses—her lighting installations unveil spaces where one’s usual bearings no longer apply. The visitor is transported to another dimension, one modified and more intense. It’s as if the viewer is drawn into waves of lights, submerged in these moving beams where there is no darkness. The experience of space in this newly illuminated configuration is felt as an intensely physical and aesthetic experience. UCCA invites the artist to share her research on the influence of light on biological systems, the limits of perception, and the psychoactive effects of light on the body. *Collect your ticket from the ticket desk 30 minutes before the event begins. *Space is limited; no late entry. Nathalie Junod Ponsard was born in France in 1961. Today she lives and works in Paris, where she is a lecturer at the École Nationale Supérieure des Arts Décoratifs and École Spéciale d’Architecture. © 2007-2019 Ullens Center for Contemporary Art.